Bali in Indonesia is one of world’s most popular resort destinations, for Japanese, but also many others around the world. For those who are craving the “Bali vibe” in Japan, Anda Resort in Izukogen is for you! It is a township created on the Indonesia theme, offering hotel facilities inspired by Indonesia, but also hot springs, a spa, a park, a chapel, and more. When you visit Anda Resort, you forget you are in Japan. It creates the illusion you are in a tropical resort surrounded by the luxuriant nature of Izukogen. Anda Resort is located little off of the National Highway 135, roughly 2.5 to 3 hour drive from Tokyo. You can also take a train to the nearby station, Izukogen, and walk for 10 minutes to the hotel. Izukogen is a well-known Japanese resort, filled with many resort hotels, but Anda Resort looks like no other. From the moment you go through the gate, all you see is the Indonesia-inspired architectures and statues. It is hard to believe that you are in Japan. When you get to Anda Resort, you are most likely to be greeted by many frog statues. Indeed, on the island of Bali, frog statues covered with green and black moss are considered as a sign of fortune and luck, thus you will see frogs in many different sizes and positions welcoming your stay. In Japanese, frogs are called “kaeru”, which also means “to return”. Anda Resort wants to be a place where people can return anytime they feel tired and need a moment of peace. Check out the view from the look-out! When you stay at Anda Resort, you get a full Indonesian experience, but you should also get to know how beautiful Izukogen is. Anda Resort is like a little town, thus has various facilities in the space. At the top of Annex, where the Spa Cantic is located, there is a great look-out place where you can enjoy a panoramic view on Izukogen. You can see Omuro Mountain in the North and the Pacific Ocean in the South with Izu Oshima Island in the distance. Of course, you can relax at the spa and enjoy the hot spring at Anda Resort, but you should also explore what Izukogen has to offer. By going up to the look-out place, you may be able to decide what you would like to visit outside of the Resort. Everything is at Anda Resort! Of course, you can simply stay in the vicinity of Anda Resort for the entire stay of your trip to Izukogen if you prefer. The great thing about Anda Resort is that everything is there! For those travelers who are looking for a nice relaxing spa treatment, you can go to Spa Cantic. 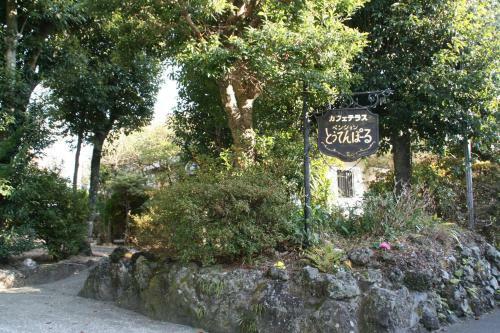 You can get facials, massages, and even enjoy a stone bath, ganbanyoku. If the spa is not your thing, you can use the playroom to do billiard or just enjoy relaxing at the park under the Sun. If you are not big into hot springs, as well as large public baths, you can also choose to book a private bath, which can be shared with your loved ones. Anda Resort also has its own wedding chapel, so there are plenty of things to do for newlyweds, as well as families and friends to choose what they enjoy on their vacation. Let me talk about an area of Anda Resort called “Kaeruya”, or The House of Frogs. Kaeruya is open to the public as well as those staying at Anda Resort. There, you can find cute frog items and goods imported from Indonesia. Kaeruya also has free foot bath (ashiyu), from 10:00 am to 5:00 pm This is also where you can enjoy dinner and even try making pottery!. If you are traveling with children, this would be a great place to keep children entertained while adults could get their relaxation at the spa and the hot spring. Enjoy an Indonesia-inspired resort in a Japanese resort! Anda Resort in Izukogen is quite different from your other travel destinations in Japan. Like how international travelers fancy Japan, Japanese people dream of going to a tropical island and by going to Anda Resort, you get to experience little Indonesia with Japanese high quality service. It is like a little town, so if you choose to stay in the vicinity, you have access to everything you need to make the most of your holidays. If you decide to explore outside the resort, Izukogen welcomes you with open arms with the rich nature and the fresh ocean breeze.